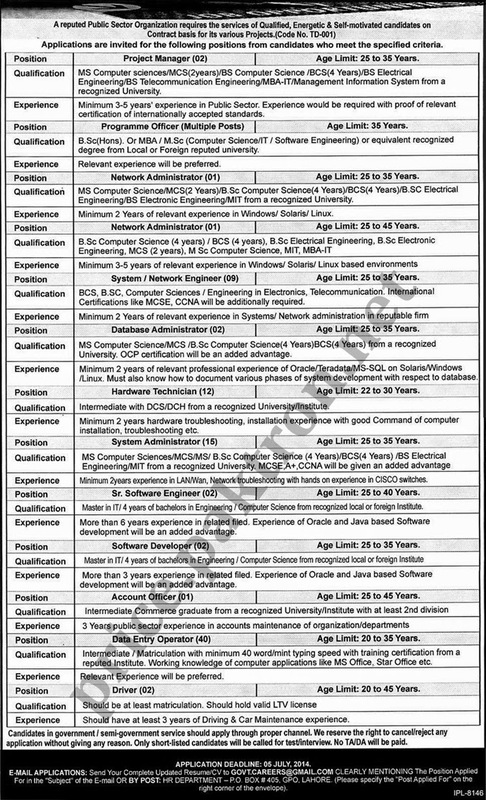 Public Sector Organization Need Young and Energetic Professional For its Project on Contract Basis Below You can See The all the vacant post and also see how to apply for these post. System / Network Engineer (09). Send Your CV on govt.careers@gmail.com must mention Post name in Subject OR send HR Department - P.O. BOX # 405, GPO, LAHORE(Write Post name on the right corner of the envelope).